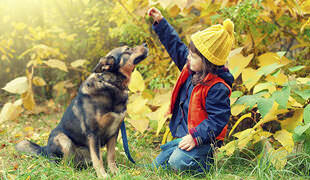 Any dog lover will tell you that dogs have a sixth sense when it comes to understanding human emotional needs. When you are feeling down, a dog can often act as a better confidant than another human. They also listen better, respond appropriately to your emotions, and seem to genuinely care about your feelings. What gives? 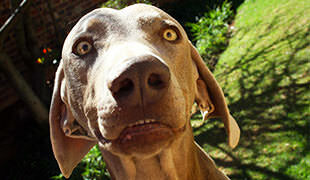 It should come as no surprise that dogs are capable of intense feelings. 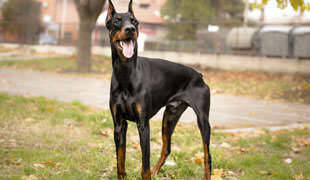 They are highly social, pack animals with strong emotional connections to other dogs. They have their own social structures and bonding rituals, many of which mirror human social structures. The same emotional connections that dogs experience in packs can transfer easily to any group setting, including cross-species situations. To your dog, you are family. It is as simple as that. Of course, there are many other fascinating things that your dog understands about you that you may not be aware of. Sometimes their abilities can be downright spooky, but there are strong scientific explanations for your dog’s behaviors. Understanding how your dog perceives you can help you relate better to your pet. Here is a look at 15 things your dog can sense about you along with some insight into how dogs do these things and what it all means. When you feel sad, your dog will immediately pick up on this and adjust his behavior accordingly. He may become more subdued than usual, lose interest in his toys and even refuse his food. Usually, your dog will quietly observe you from a corner of the room. After a while, he may come over and lie down at your feet or gently rest his head in your lap. Many dogs will even try to lick away tears as they fall. A dog’s master is the center of his entire world, so sensing your feelings of sadness will have an effect on him too. In a study published in the journal “Animal Cognition,” researchers found that a dog was more likely to approach someone who was crying than someone who was humming or talking. Furthermore, they found that dogs respond to weeping with submissive behavior. In other words, dogs seem to be trying to placate a person who is upset. What is more, dogs will approach anyone who is upset the same way, regardless of whether that person is their owner or not. The scientists insist that this study does not prove that dogs experience empathy, but it certainly goes a long way to supporting the claim. It also clearly indicates that dogs can identify sadness as an emotion that is different from other feelings.